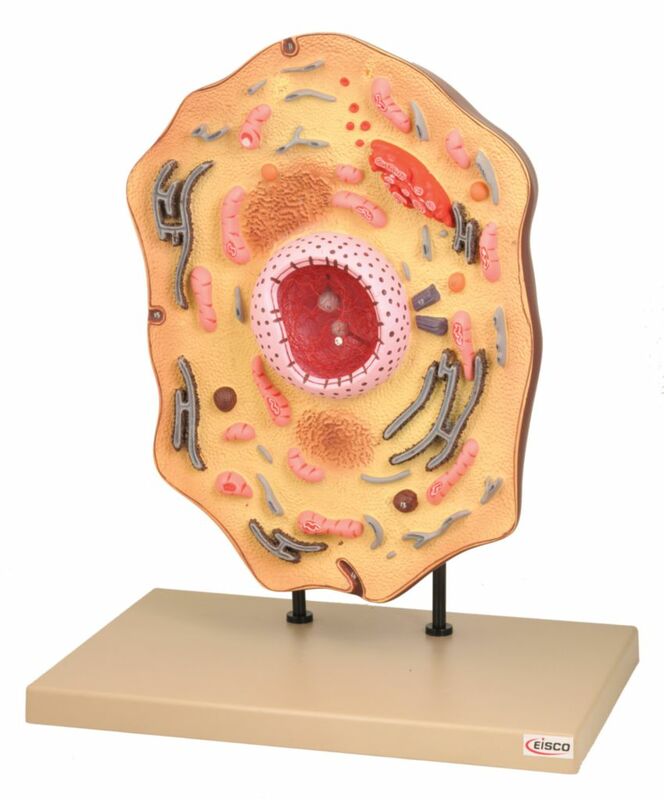 The model shows the delicate structure of an animal cell. The cell is enlarged 20,000 times. It features organelles nucleus, endoplasmic reticulum, mitochondria, ribosomes, and Golgi apparatus. The cell also shows centrioles, lysosomes, and fat vacuoles.